Andrew Batsis, D.M.D. of Tom's River, New Jersey was born in Brooklyn, New York on July 6, 1941. His education began in Brooklyn then Bradley Beach, New Jersey. He graduated from Asbury Park High School and went on to attend Monmouth College. In 1963, he was accepted early at Tufts University, Massachusetts; he returned to New Jersey and graduated from Monmouth College in 1965 with his B.S. He earned his D.M.D. at .... (read more). 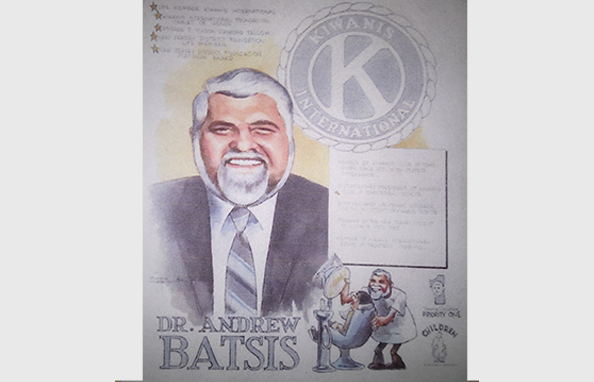 Through the Years Learn more about Dr. Batsis and all his family and career accomplishments. times square nyc The Times Square honor is of particular significance because of the high visibility it offers. Greek Recipes Try and experience some of the Batsis Family Authentic Family Greek Recipes. the book of Dr. Batsis And we love the challenge of doing something diferent and something special.